The Vermeer universal side load transmitter housing is compatible with 15” (38.1 cm) and 19” (48.3 cm) transmitters (all acceptable for wireline). 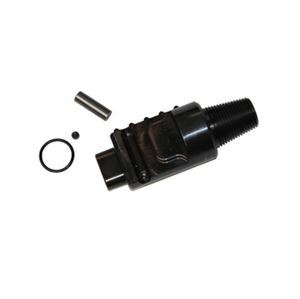 It also carries a replaceable rear sub and threaded front for virtually limitless adaptability, including the Armor™ Drilling System and mud motors. The versatility of this tool also qualifies it for a range of projects, from standard bores to sensitive on-grade sewer work.